As we look to the possibilities of 2017, we want to address some practical financial information as well as some amazing purchasing opportunities. We haven’t seen recently the scope of development in South Walton and Destin to the extent we expect to witness in the next few years. 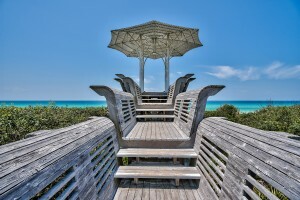 The Scenic Sotheby’s International Realty team recently convened to discuss some of the major enhancements in the works in South Walton and Destin, and to reflect on some information about financing provided by Robert Cornett at Walton Funding. First, the Trump election has already had a significant impact to the economy. People have expectations that the economy will do well with Donald Trump as the US President. This new administration may result in people buying more stocks and selling bonds. Since mortgage rates are tied to bond rates, when people sell bonds, the price goes down and the rate goes up, which is why mortgage rates rise. The second factor to impact mortgage rates is the action of the Federal Reserve. The Fed announced an increase in the Federal Funds rate, which was expected, and rates have already reflected the change. However, the Fed also changed their outlook for 2017 to include an additional rate hike, which was more than what was previously thought. This development caused an increase in mortgage rates. Robert’s take on the financial outlook for this year is generally positive. He says that as the economy continues to improve, and rates will likely continue to rise. As president, Trump plans to invest heavily in infrastructure, which should result in a growing economy. Inflation is a key number to keep an eye on as inflation has a major effect on mortgage rates. The higher inflation goes, the higher rates will go. The Fed plans to continue its aggressive purchasing of mortgage securities. This will help keep rates low, relatively speaking. The good news, according to Robert, is that rates are still very low, historically speaking. An increase in rates is not a bad thing for our economy. It is a sign that things are stabilizing. Although we expect rates to increase we do not expect it to be dramatic. It will be bumpy and we can expect rates to fluctuate along the way. Those who can truly afford a loan now should still be able to afford it at the end of 2017; it will just cost a little more. We are seeing the availability of credit get less restricted. The common complaint has been that these low rates have been available for only those with great credit and it hasn’t been as readily available to those who need it most. We expect to see lending terms continue to get easier for all borrowers. Thinking ahead on the impact to the individual and considering what we can predict from the election and the Fed’s actions, we see that rates are increasing, but it’s no reason to panic. If you are on the fence about buying a home or refinancing, this is a good catalyst to get serious now. Higher rates will influence your purchasing power. However, if buying is a little down the road for you, don’t worry. Rates are still low for the big picture and credit should continue to become more readily available. 2017 may well prove to be the most vibrant year in some time with regards to the economy. Individuals interested in purchasing and following new opportunities in the near future should watch the markets and stay abreast of developments in mortgage rate increases. Your real estate professional can assist with questions about your own situation. If you are considering the changes in South Walton and Destin, keep an eye peeled for improvements in our communities as well as new developments in the building phase. Seaside recently announced its intent to begin work on several projects while looking at its long-term vision. “Seaside’s Central Beach” enhancement will begin with Bud and Alley’s in the fall of 2017. Bud and Alley’s existing historic buildings will not change, but the enhancement will include a new building that will house the Pizza Bar and Taco Bar. A new elevator and stairs will lead to an enlarged Roof Deck where bathrooms will also be available. The new beach boardwalk is already complete south of the circular pavilion. The Krier Tower, which will be placed where the post office currently is, will also break ground this year. Many of the initial improvements will be complete in the Spring of 2018. There is discussion for a luxury boutique hotel as well. If this is approved, it will likely break ground in late 2018. Seaside has grown so much over the last 35 years and the plan is to refine and fine tune what is there now in order to enhance life in Seaside. WaterColor Beach Club and Camp WaterColor have plans to expand. With the goal of enhancing overall guest experience and alleviating the issues of overcrowding in mind, WaterColor announces an expansion of the Beach Club and Camp WaterColor. Remember that the Beach Club welcomed nearly 1,000 people a day in 2015! The Beach Club expansion will add two new resort-style pools, one with walk-in entry, thereby increasing the total pool capacity three times what is currently available. The new pools will triple the deck space therefore better meeting the demand put on the Beach Club especially during peak times. The new pools will feature expanded seating and sunbathing areas, as well as two new pool deck cabanas for added convenience. 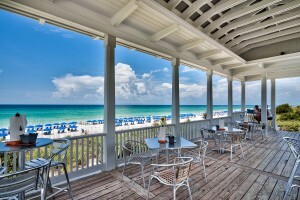 The pool decks will be terraced to provide unobstructed views of the gulf from all levels. As for Camp WaterColor, a newly redesigned pool will triple the size of the existing pool as well as accommodate all ages and abilities of guests. The design features a zero-entry pool access, like the gentle slope of the beach, which will provide easy access to the water making the pool even more family friendly. Younger children can play on a large splash pad with interactive dancing jets of water, while older children enjoy the water slide. Designed with families in mind, Camp WaterColor will provide the convenience of food, beverage, and bar service to guests to offer a full day of fun without needing to leave. WaterSound Beach Club expansion is under construction. WaterSound Beach is beginning its $3.5 million expansion that includes the addition of a 7,300-square foot pool as well as a 25,000-square foot pool deck. The Beach Club will be closed as of January 1, 2017 until the estimated completion date in spring of 2017. 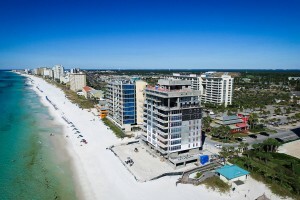 There is great excitement around the wide variety of new purchasing possibilities on Scenic Highway 30A and Destin. Costa Blanca will be a beautiful addition to the Gulf Place area. With over 200 feet of private beach and over-sized beachfront balconies overlooking the Gulf of Mexico, Costa Blanca is where luxury meets the beach. Spanish for “white beach,” Costa Blanca presents a private lifestyle intimately attuned to the raw beauty and emerald waters of Scenic Highway 30A. 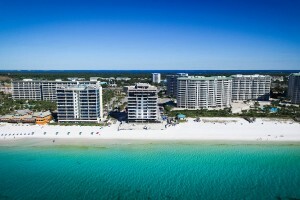 Costa Blanca offers the exclusivity of only fourteen luxurious gulf-front condos with over 200 feet of private gulf ownership on the Gulf of Mexico. Each gulf-front residence has been meticulously designed to include architectural elements reflecting a coastal chic design that are specific to each unit, including exposed beams, wood floors, limestone, quartz counters and floor-to-ceiling windows. 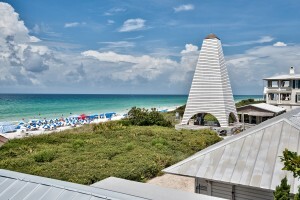 Kaiya is a new community currently being developed on 30A. With just 148 homes, Kaiya is a new beach resort community located just west of Alys Beach, designed with a master plan that preserves more than 39% of the land for neighborhood parks, wetlands and natural scrub oak growth offering connectivity to bike paths and trails. 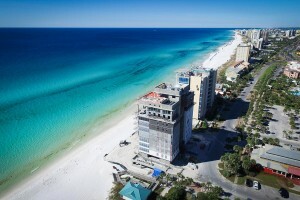 Destin’s newest gulf-front luxury condominium, 1900 Ninety Eight, is nearing completion. 1900 Ninety Eight will have its own deeded, private beach with services for owners and guests, gated entry to a two-level parking garage, rooftop heated pool, spa, fire pit and fitness center. All 16 light and airy, contemporary style units will feature Italian made custom cabinetry, Cambria stone and marble counter-tops, Thermador kitchen appliances, porcelain limestone tile, and private 12′ deep balconies with electric grills. Viridian in Seagrove Beach is almost complete. Viridian, a condominium development, is currently being built above the newly opened Surfing Deer Restaurant in Seagrove Beach at the corner of Scenic Hwy 30A and Hwy 395. The estimated date of completion is Spring of 2017. The Henderson Lofts located in Destin on Crystal Beach will officially be complete in August of 2017, but remaining availability is limited. The Henderson Lofts are unique because of its inclusion in the Henderson Inn and the fact that it abuts Henderson Beach State Park. This sought-after locale is sure to sell out before completion. As to other improvements or additions that will serve the communities in significant ways, the 331 Bridge and Thomas Pilcher Park stands out. The Clyde B. Wells Bridge is nearing completion as is the Thomas Pilcher Park along and under the bridge. For those who enjoy recreating along the Choctawhatchee Bay, the new park will be an ideal place to get in some time on the water. Located on the eastern side of the waterway, the park will feature a fishing pier, boat ramps, picnic areas and restrooms. Also under the banner of noteworthy improvements, Grand Boulevard proudly welcomes Pottery Barn and a new restaurant by Emeril Lagasse. 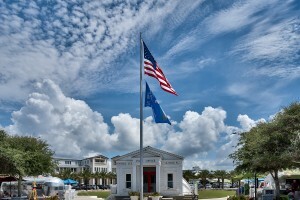 Grand Boulevard has become a happening development with restaurants and shops, and is home to some of South Walton’s biggest events. The popular design and furnishings retailer, Pottery Barn, is making its Northwest Florida debut this year in Grand Boulevard, as are Kinnucan’s, Ophelia Swimwear and Everkrisp, which are all under construction. Emeril Lagasse’s restaurant group has announced plans to open a restaurant in Grand Boulevard as well, though dates haven’t been announced. 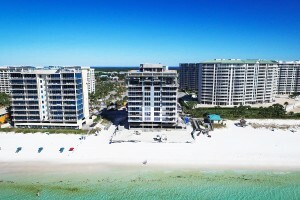 With these enhancements, whether new construction or renovations, the Emerald Coast is poised to add to the luxury lifestyle so many who live and visit here have come to expect and love.